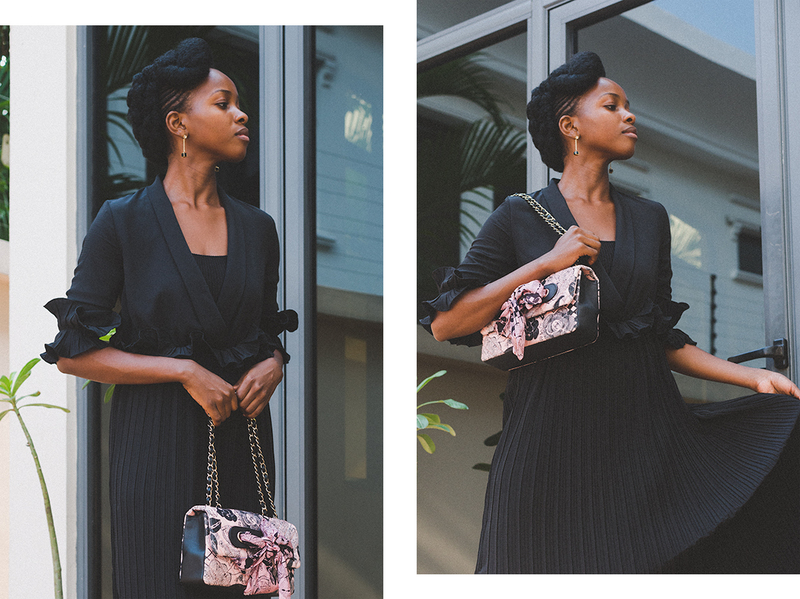 MUST-HAVE DRESSES FOR 2019: THE LITTLE BLACK DRESS. | O. R. R. - Life & Style Journal. Part 3 here and we've got the LBD, also known as the little black dress. Now, I know the first thing that comes to mind when you think of a "lbd" is a short and probably clingy dress but I've left my short-dress-wearing-days behind me. In case you didn't notice from the past few posts, midi dresses and skirts are my new obsession. So yes, this is my own version of a little black dress. Don't get me wrong though, I will still pull out a tiny dress when the occasion calls for it, but it probably wouldn't be my first option. The dress in this post is another PrettyLittleThing number. Am I the only one that thinks that their sizing is a bit off sometimes? I usually wear a 4 or 6 depending on the brand. I've got size 4 PLT dresses that fits perfect, I've also got size 6 dresses that are too tight and would have fit better if I'd bought an 8. The stubborn goat in me refuses to buy anything with an "8" tag when it's not an oversize fit that I'm looking for. Please, I know my size. I am not an 8. Anyway, back to the dress. I'm wearing a size 6 in this post. It fits perfectly on the arms, however I would have preferred it if the elasticated waist was a bit tighter and the chest area less open. I had to wear a bodysuit on the inside to make it more work-appropriate. It's still a cute dress, the ruffles and pleats were what drew me to it. Shop the dress here. My earrings were a gift from Ifeoma back when she still loved me. Now she's too busy for me. Betrayer.